It seems like a single warehouse would be easier to manage, but there are clear benefits to spreading your warehouse inventory among several locations. Looking for a way to grow your business so that you can ship product all over the country? Selling physical products comes with plenty of challenges. Unlike service-oriented companies, you must deal with managing your supply of inventory. And well-managed inventory is the key to profit creation. There are a ton of benefits to warehousing. And a single warehouse works for small businesses. But as you grow, you'll find that using more than one warehouse fits better into your business model. 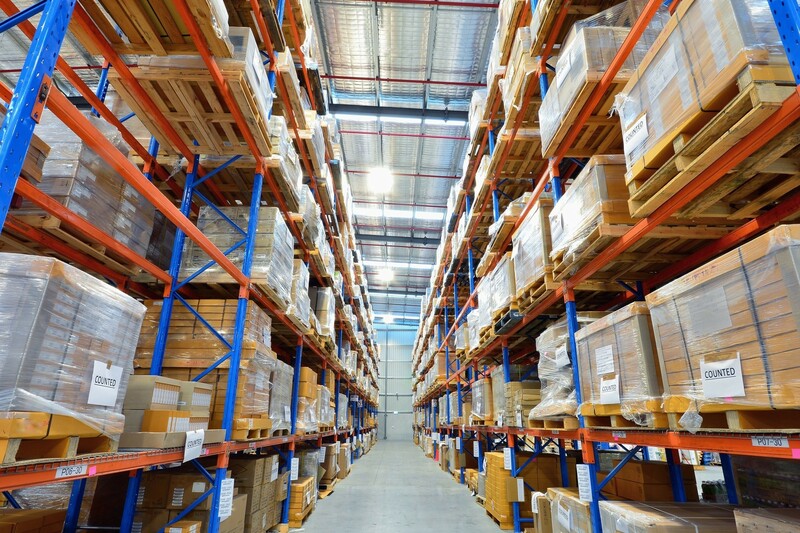 Here are 5 benefits of storing your warehouse inventory in multiple locations. In today's world, customers expect quick shipping. Spreading your inventory over several locations means quicker shipping turnaround for your customers. Keep this in mind when choosing warehouse locations. The more strategic you are when choosing warehouse locations, the better you'll meet your local customer's needs. Having 100% of your inventory in one warehouse in Perth means you'll have a long way to ship to customers in Sydney. But if you split your inventory 50/50 between warehouses in Perth and Sydney, you can reach each customer base within a day's time. Less shipping distance is money in your pocket and money in your customer's pocket. With product spread out in different distribution centres, you'll pay less to ship individual orders. Imagine offering discounts on shipping because you've saved through a hub inventory system. Your customers will love you for it! And it gives you a competitive advantage. Keeping all your inventory in one place is risky. What if it floods, or snows, or there's a fire or an earthquake? What will you do then? Spread out your inventory in several locations. This ensures that you'll have enough extra product to keep your business going during a disaster. It's true that it's more expensive to run more than one warehouse. But it can actually improve your efficiency. The key is to produce the volume in sales necessary to make up for the additional operating expenses. Take a look at the Amazon supply chain management strategy for an example of how this works. When you have one large warehouse, bottlenecks form in your packaging and shipping process. With many warehouses, you can scale down the amount of product shipped from each to make the whole process more efficient. If you're looking for big-time growth, you'll need to expand your volume of inventory. And that means you need more space. Most companies rent warehouse space from a qualified provider. This allows you to leave the warehouse logistics up to your warehouse partner. But you've got to find the right partner to make that work. And growth comes down to speed. If you can get your inventory shipped out to your customers faster, you can ship more product. It's a win-win! Save time and money and pass those savings along to your customers to gain a competitive advantage. To do that, consider upgrading to a multiple warehouse inventory system. Spreading inventory allows you to meet customers orders faster by cutting down on shipping time. This also saves you money. The less ground you have to cover shipping, the more money in your pocket. Having more than one warehouse is less risky. They're also more efficient as your business increases in scale. And with more warehouses, you've got greater possibilities for growth. If you're ready to increase your inventory, let us find you some space. We're the warehousing experts! Proudly serving the businesses of Australia from coast to coast.